Morocco international Hamza Mendyl has joined German side Schalke from French club earlier this week, after moves to joins Londoners Arsenal was reportedly scuppered. Reports milling about have revealed that Arsenal failed to secure the services of Lille defender Hamza Mendyl, despite having travelled to London ahead of the proposed move. However all efforts were thwarted after the club failed to resolve issues relating to the defender’s work permit. 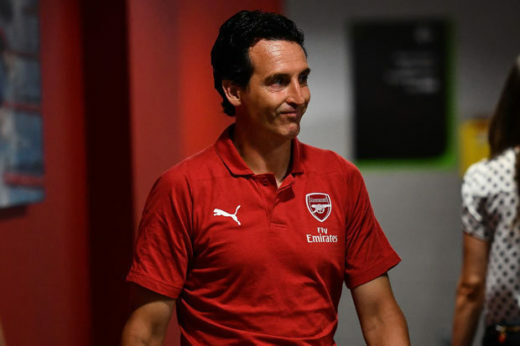 Christian Heidel, Schalke’s sporting director revealed that the player was close to joining the English outfit but efforts on his transfer were reined, blaming the botched move on the inability of Arsenal to fix his work permit. “I think otherwise he would have gone to Arsenal,” Heidel said, when asked about the work permits. Meanwhile, Mendyl has admitted he is thrilled playing for a top-tier club after failing to get in at Arsenal. The defender revealed he is ready to knuckle down at his new club and hit his gears running. He said: “I am very happy to have signed a contract with such a big club. The 20-year-old made 13 Ligue One appearances for Lille last season.